Three mountains with 4,270 acres of skiable terrain, surrounding a European-style, ski-through village filled with quaint shops, cafes, and eateries. 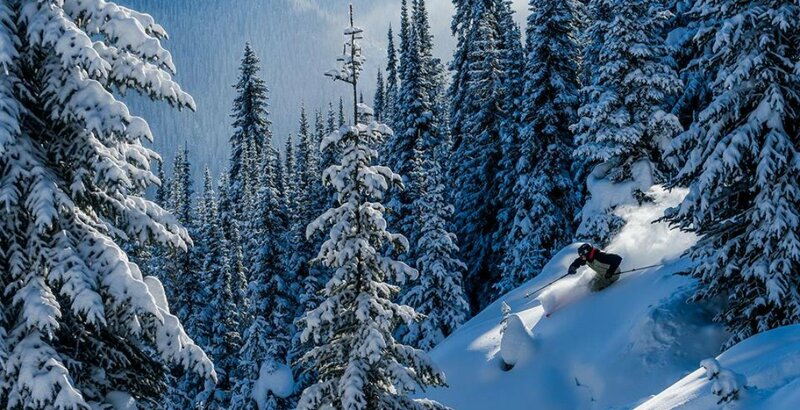 Pair that with an abundance of activities and events both on and off the slopes, and you have Sun Peaks. One of the best places to escape the crowds, with consistent snow conditions as well as over 2,000 hours of sun each year — Sun Peaks is where you need to head for your next weekend getaway. Whether you’re looking to tackle all three peaks on the same day, spend the day leisurely snowshoeing through the forest, or even just relax in the beautiful village, here are the perfect activities to fill your weekend. 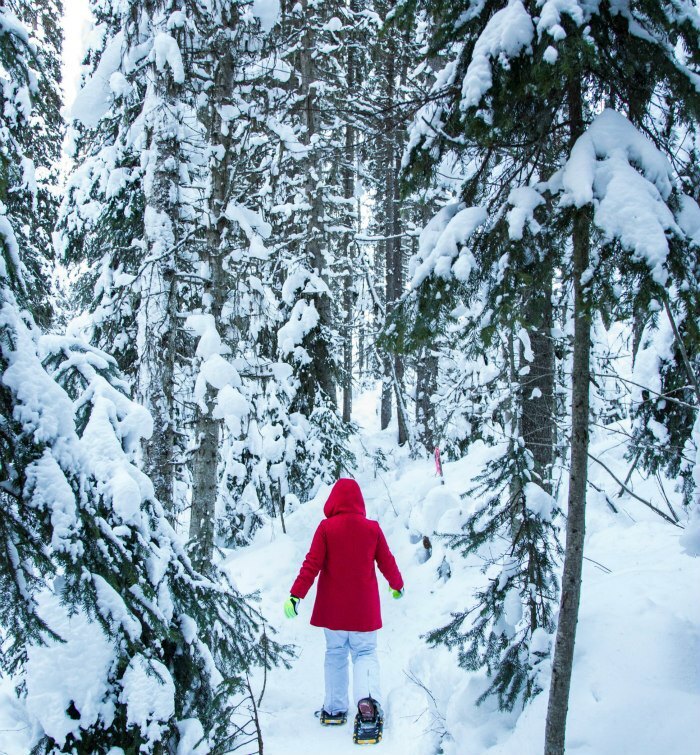 With an extensive snowshoe trail system at Sun Peaks, you are essentially free to create your own snowshoeing adventure — although there are guided snowshoe tours if you prefer not to venture out on your own. All you have to do is rent a pair of snowshoes and grab a complimentary trail map with points of interest such as snow caves, bird feeding stations, and identification of animal tracks. Be sure to dress in appropriate winter clothing, as well as waterproof boots, snow pants, and of course, don’t forget gloves and a toque! Even though spring is slowly approaching, there is still plenty of snow up on the mountains at Sun Peaks, and excellent trail conditions all the way until mid-April. All 37 kms of their main Nordic network are groomed and track set daily, which provides a great skiing surface for you to enjoy! Also, if you’re thinking of bringing your furry friends on your weekend trip with you, you don’t need to leave them behind. There is a selection of dog-friendly trails you can ski with your pooch — a mix of on-leash and off-leash, so do take note. Who are we kidding? 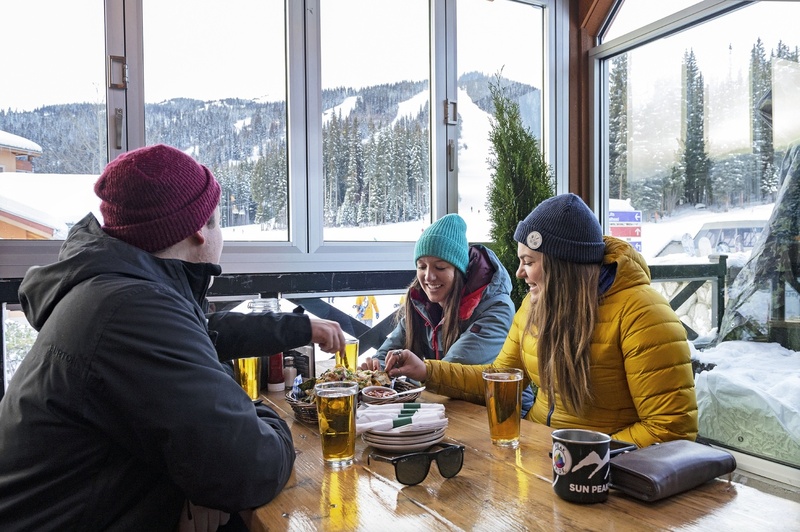 The best part about winter sports is the aprés dining — which Sun Peaks excels at. Head to one of the many patios in the village, where you can enjoy not only the fresh, crisp air, but delicious food and drinks too. Check out Morrisey’s Pub, Bottoms Bar and Grill, The Sunburst Bar and Eatery (located mid-mountain if you’re in need of a midday break), or the Cahilty Creek Kitchen and Taproom — located slopeside right off the run. With springtime temps, visitors love to spend their time outdoors and there’s no better way to do that than with multi-day events. Avid Nordic skiers won’t want to miss out on the TECK Sun Peaks Nordic Spring Challenge on March 16, a short, fun course to kick off the Nordic Festival Weekend. 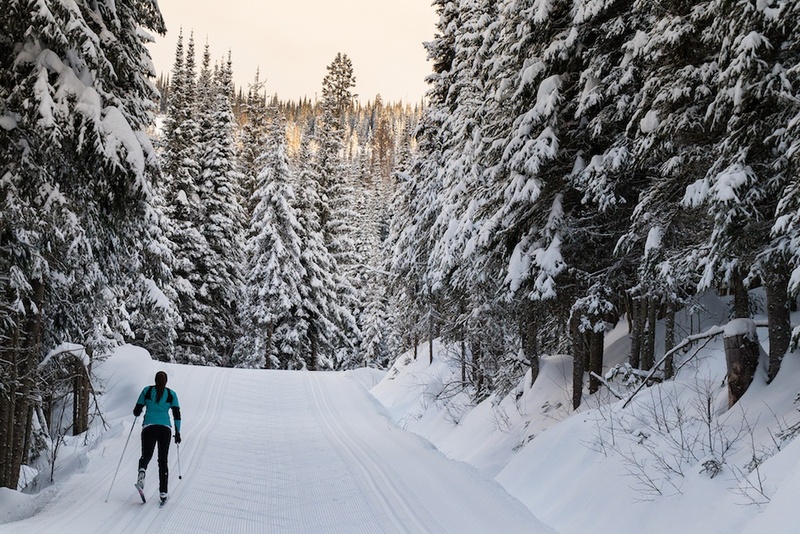 The following day, take part in the Sun Peaks Loppet, a fun, family-oriented cross country race open to all ability levels, with race distances including 2 km, 5 km, 15 km, and even 30 km (if you dare!). Registrations are now open via the Sun Peaks website, so be sure to do so if you don’t want to miss out. 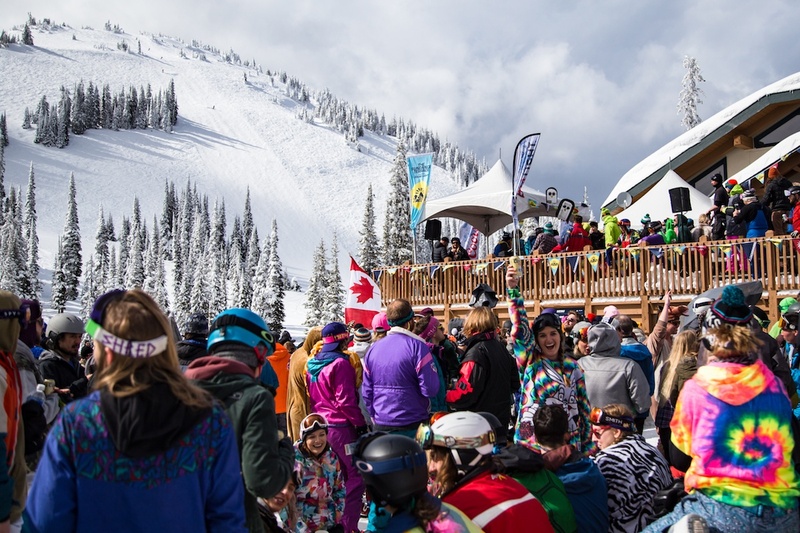 If you’re a fan of music festivals, you won’t want to miss Europe’s biggest music festival on snow returning to Sun Peaks this spring between April 5 and 7. With three full days of unparalleled entertainment and world-class acts, plus snow sports, you will have an unforgettable experience at Snowbombing Canada. This year’s lineup features performances by Illenium and Cypress Hill. Celebrate the end of an epic season during the final weekend of winter lift operations on April 13 and 14, and head to the Tod Mountain Days Spring Festival — where retro outerwear is the name of the game! Don your brightest gear for a fun time for the entire family, at one of the highest energy events in Sun Peaks. For more information to plan your next weekend getaway, visit Sun Peaks’ website, or be sure to check out Sun Peaks on Facebook, Instagram, and Twitter.